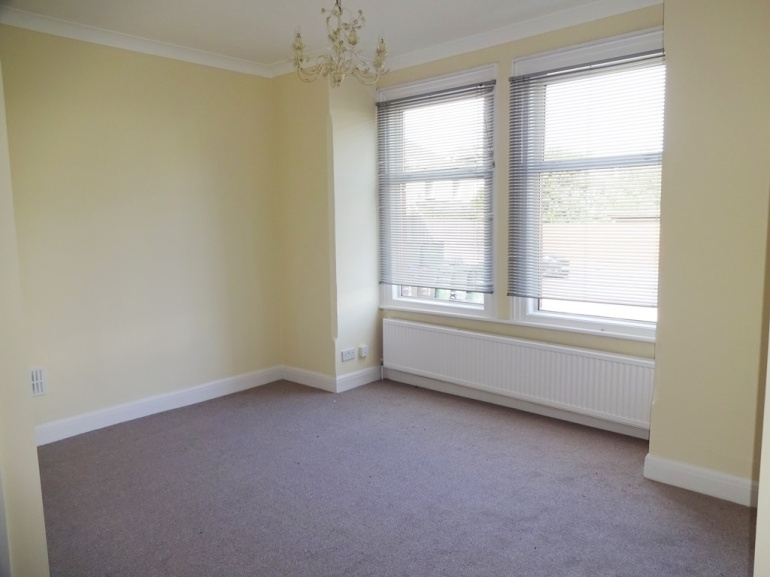 NO CHAIN - AN IDEAL FIRST TIME BUY OR "BUY TO LET" - Kenyons are pleased to offer this good size ground floor studio flat which has just been redecorated through out and benefits from a newly fitted open plan kitchen. 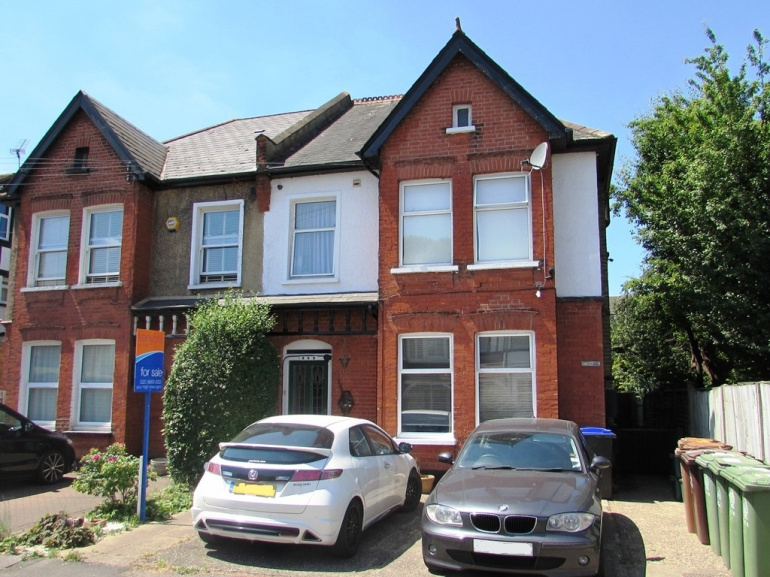 The property is located on the favoured south side of Wallington in a popular residential road approximately ½ a mile from the shops and Wallington mainline train station. 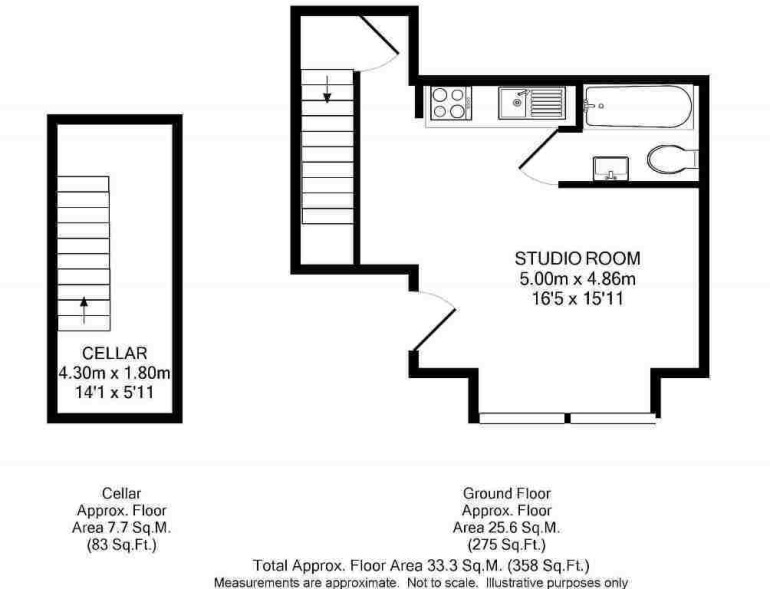 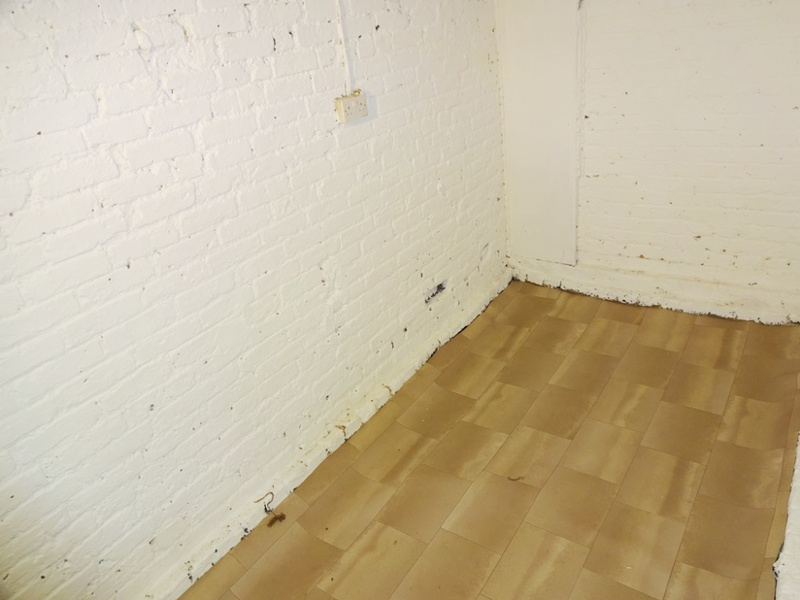 OPEN PLAN STUDIO ROOM & KITCHEN: 16'5 x 15'11 (Narrowing to 8'9 at one end). Double glazed window s, radiator, new fitted carpet, open plan to newly fitted kitchen area. 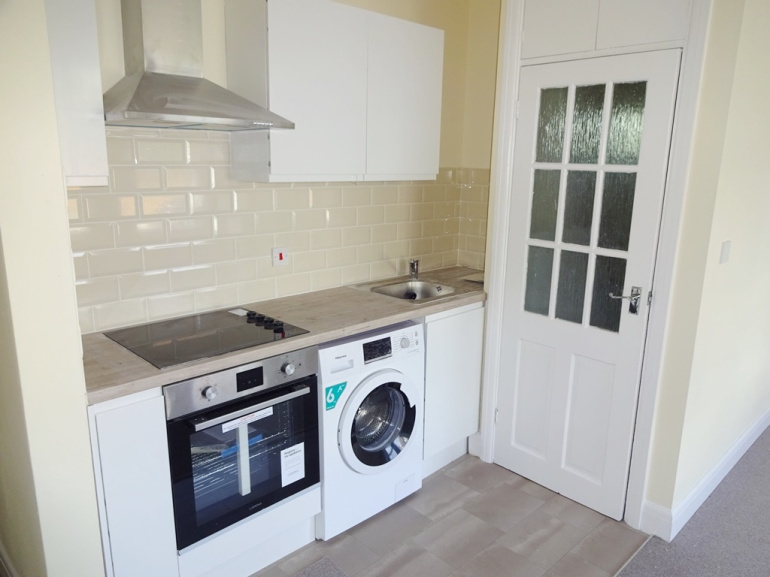 OPEN PLAN KITCHEN AREA: Newly fitted with matching base and eye level units finished in white gloss, contrasting work-surfaces, sink unit, fitted new electric hob, extractor hood and separate oven below, new freestanding washing machine, ceramic tiled splash-back. 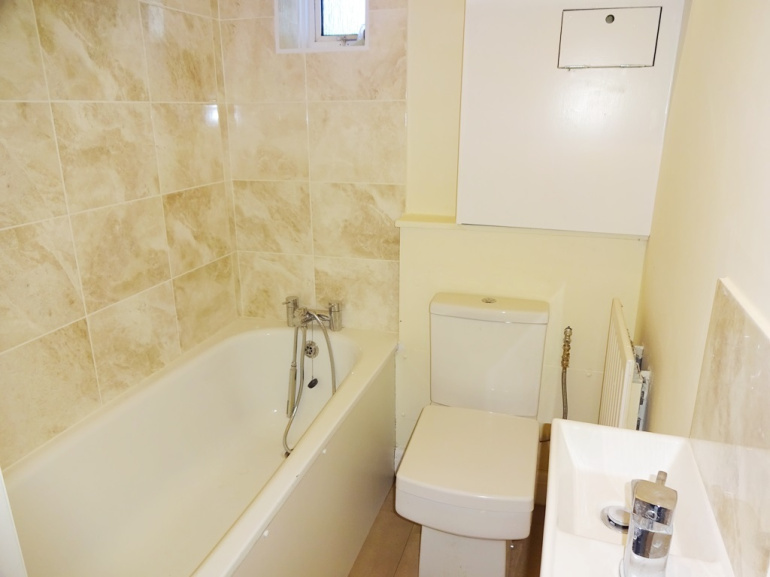 BATHROOM: With white suite comprising of - panel enclosed bath with mixer tap and hand shower, wash hand basin, low flush w.c, part tiled walls, cupboard housing wall mounted gas combination boiler for central heating and hot water, radiator. CELLAR/STORE ROOM: 14'1 x 5'11. 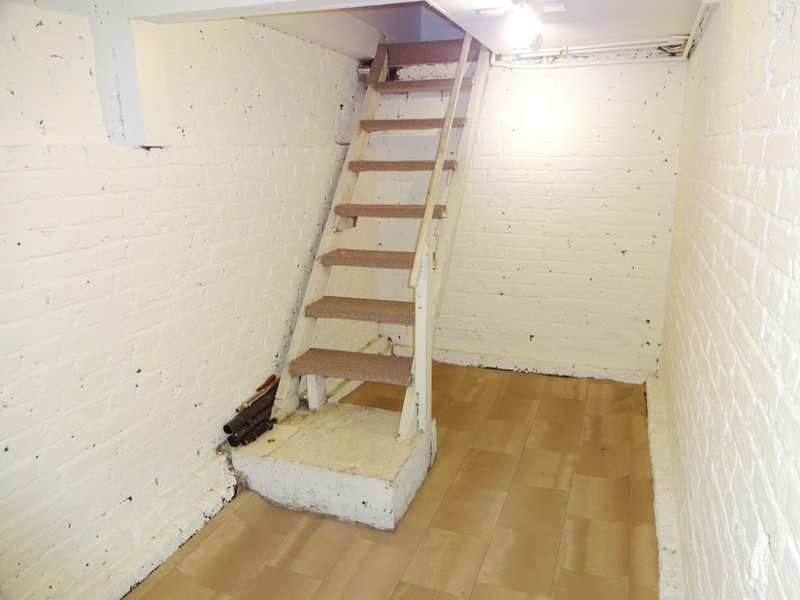 Stairs leading down from studio room, power and light. 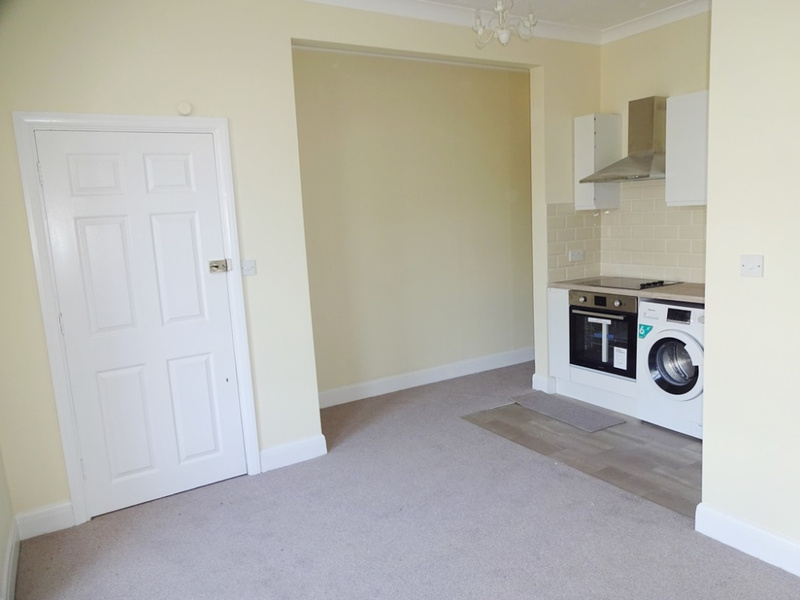 TENURE: LEASEHOLD - We have been informed by the vendor that the property is being sold with a share of the freehold and that there is no ground rent or set service charge but any work that is requires on the overall property is share between all of the flats. 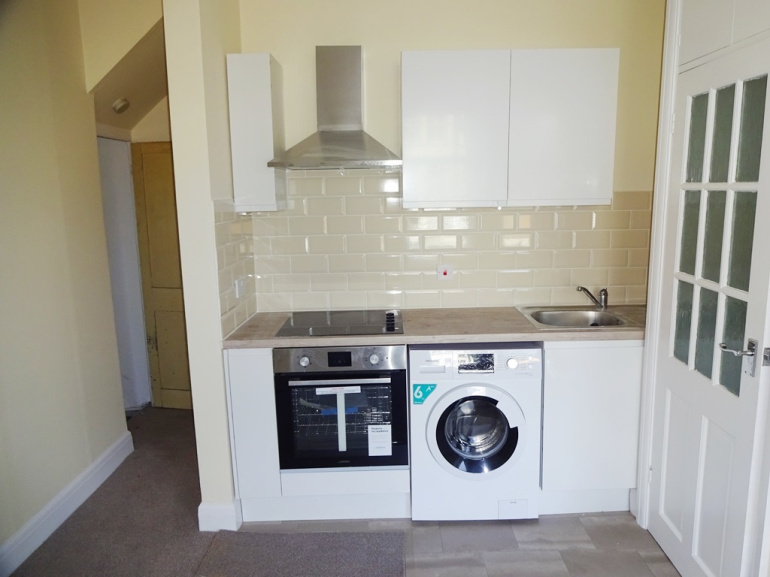 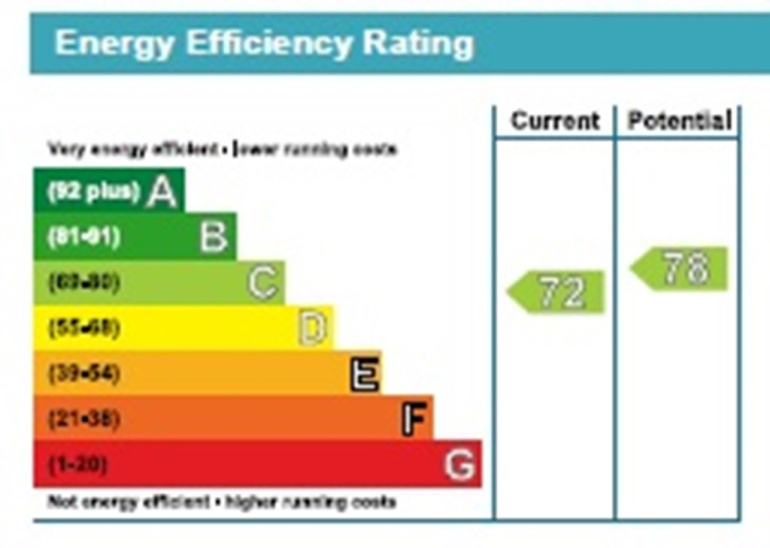 However prospective purchasers are advised to check these details with their solicitors.